just wanted to take a second to gush a bit about our wonderful daddy, dustin! i mean, we may be a bit biased we couldn't agree more with this months issue of Today's Parent (June, 2016, out now!) 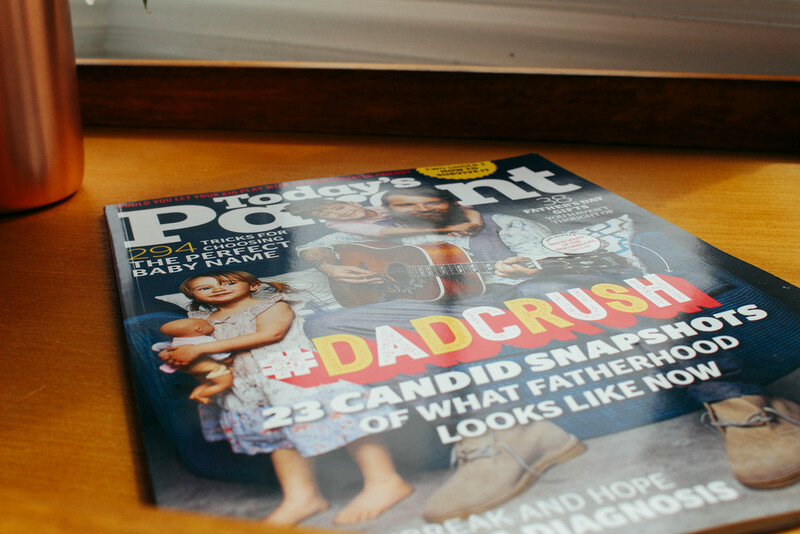 who named our amazing daddy one their #DADCRUSH(es) + portraits of modern fatherhood. he did a wonderfully heartfelt & beautiful interview (you can read the full interview here). can't say my heart didn't skip a beat (or two) seeing this wonderful man that we get to call ours celebrated in glossy pages with photos of him & his babies, what a dream! i say this all the time about the people i love but i truly hope they know how incredible they are, especially dustin. he goes above & beyond in every facet of his life but there is absolutely nothing that compares to the way he loves our children & i.
here are some snaps of the mag, along with peonies from our garden, aren't they pretty! ?